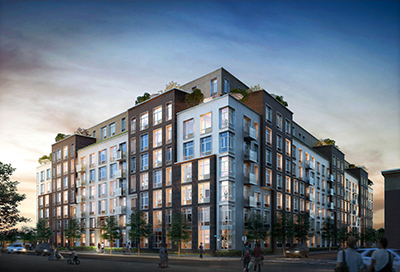 Brooklyn, NY Meridian Capital Group has arranged $115 million in financing for the cash-out refinance of a multifamily property midway through construction on behalf of Hampshire Properties. 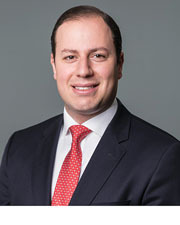 The loan, provided by Square Mile Capital, was negotiated by Meridian senior managing director, Morris Betesh, managing director, Justin Boruchov, and VP, Daniel Belecen. Located at 1277 East 14th St. in the Midwood neighborhood, the property occupies the former site of the Shulamith School for Girls, which is also the former site of Vitagraph Studios. The eight-story building will feature 302 one, two and three-bedroom units, 150 parking spaces, a fitness center, game room, concierge desk, and rooftop with views of the Manhattan skyline. With frontage along three streets and a large inner courtyard, the building will benefit from substantial light and air in every residence. The property’s apartments and surplus of common areas and recreational space fits in well with the demands of Midwood’s population, a neighborhood renowned for its suburban feel and family-oriented atmosphere.